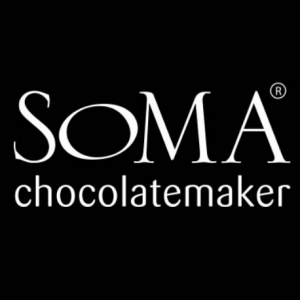 SOMA chocolatemaker is a chocolate maker and chocolatier started by David Castellan and Cynthia Leung. Sourcing cacao beans from around the world they make chocolate and explore new ways to enjoy chocolate. Their confections and single origin chocolate have won numerous International awards.